Your gift will be doubled by a challenge grant from the Harold Alfond Foundation®. The residence is a two-story building with thirteen dorm rooms, including two handicap accessible rooms, one studio apartment (intended for visiting artists or others seeking solitude for work or study), a common room, a kitchenette, laundry facilities, and multiple outdoor spaces such as patios, gardens, and an outdoor classroom. The Classrooms facility will be a 3,345 square-foot building featuring a lobby, 1,200 square-foot classroom and conference space, 600 square-foot classroom, and office, built by local tradespeople using locally-sourced materials and green building practices. We are thrilled to announce that the CCLC was recently awarded a $275,000 matching challenge grant from the Harold Alfond Foundation® as a capstone toward completion of Heartwood Classrooms. With this very generous grant commitment, we are one step closer to beginning construction of the new facility, which we are driving to complete in 2018. 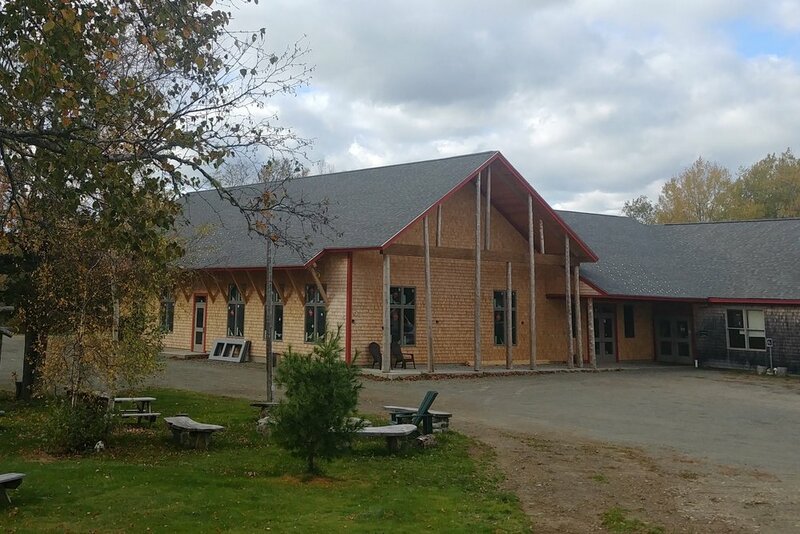 The completion of Heartwood Lodge and Classrooms allows us to offer multi-day programs, overnight summer camps, and a new host of courses linked with our burgeoning partnerships with institutions such as University of New England, University of Maine, and others. Everything from weekend courses in health and fitness or the arts to credit-bearing courses with colleges and universities will come to life within the walls of Heartwood Lodge and Classrooms. Heartwood Lodge and Classrooms creates employment for local people from the construction phases right through long-term operations. Both buildings incorporate local materials at every opportunity and are built by local people. It will take personnel to maintain and operate the buildings, as well as to teach the programs made possible by the increased space. The project has also allowed the center to switch all campus heating to a wood-fired system. This wood will be supplied by local wood harvesters. We are now 90% of the way to the Heartwood Lodge and Classrooms campaign completion! We invite you to join us in this push to raise the final $275,000. Every gift going forward will be doubled by the matching challenge grant from the Harold Alfond Foundation®.